The plaintiff in the case, an attempted class action, wanted her money back and damages because she bought the Johnson and Johnson products, but Mona Estrada did not suffer any economic or other injury, and did not profess a fear of developing cancer, the U.S. Court of Appeals for the Third Circuit ruled. Chief Judge D. Brook Smith, who penned the decision, described the suit as "narrow and novel." The district court judgement was affirmed in a split 2-1 decision. "Buyer’s remorse, without more, is not a cognizable injury under Article III," Smith wrote, adding she did not alleged physical injury, nor a fear of developing cancer, makes no claim of emotional injury, nor did she accuse the company of producing a defective product. Estrada merely argued she would not have bought the product if she had known of the claimed increase in risk from ovarian cancer, the appeals court found. She was looking for her money back and damages. In his dissent, Judge Julio Fuentes argued that, because Estrada argued that the promise of safety was part of the bargain she reached with the company when buying the product, she did establish an injury under Article 3, which lays out when a plaintiff has standing to sue in federal court. Estrada was represented by the Beasley Allen law group of Montgomery, Alabama, which has won multimillion-dollar suits in St. Louis. Women who developed ovarian cancer claimed it was caused by their repeated use of J&J's talc-based products, including Baby Powder and Shower to Shower. The Estrada case was initially filed in California, but removed as part of multi-district litigation to New Jersey, where J&J has its headquarters. Lawyer Michael Jordan, based in Greenville, South Carolina, with the Nexsen Pruet group, said the case was "pretty straightforward." "What the opinion says is a 'woman buys a container of baby powder, uses it...then is concerned about what (she is) hearing, so I want to bring a class action suit. The remedy I want is I want my money back.' But the court said there are just no damages," Jordan said. Jordan posited an "alternative theory," as to why the suit was filed, that it may be linked to the wider legal actions against J&J. "It was brought by the law firm that won in St. Louis, Jere Beasley," Jordan said. "I am not saying this as a fact, but a possibility, that if at some point J&J decides to set aside X billions in trust, then the question is who controls the money." And the law firm, he added, that has managed to secure the greatest amounts awarded typically has a large, or the largest, say in the management of the trust. 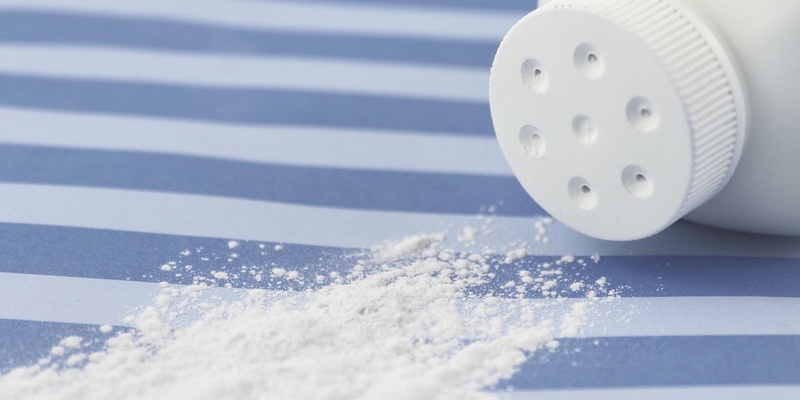 In this case, a class action win would have made J&J liable to refund for every purchase of baby powder going back years, expanding to a huge unspecified number of people, Jordan said. This would be totally impossible, he added. "I think this is just something they have run up the flagpole," Jordan said. "(It) did not work but I do not think it is a ludicrous lawsuit... there are times you can recover for fear of injury." He cited the example of an individual working in a nuclear power plant who fears cancer after being exposed. But in the area of of product liability, negligence, or breach of warranty, the argument is not tenable, Jordan said. And in this case, the plaintiff did not even claim a fear of developing cancer. There were also questions over whether the plaintiff was harmed in any other way. The district court, in its ruling, concluded that the product did exactly what it said it would do, that is "eliminate friction on the skin, absorb excess moisture, and maintain freshness." On appeal, Estrada argued that while they may be true, she received a product the company promised was "safe" when, according to the plaintiff, it was not.